A baby has to cope with the stresses of birth, a toddler may have frequent bumps and scrapes. The school child carries heavy school bags, whilst the student spends long hours hunched over the laptop peering at low level screens. Driving to work and long hours at a desk increase the pains begun as a student. Sports people push their bodies to the limit and over-stretch their ligaments and tendons. In old age our joints stiffen and our circulation slows. These are the types of activities that lead to long or short term discomfort and pain which an osteopath can alleviate. Osteopathy recognises the importance of the link between the structure of the human body and the way it functions. Osteopaths focus on the body’s skeleton and joint function along with the underlying muscles, soft tissue and internal organs. Osteopaths consider each person as an individual. Utilising a highly developed sense of touch, they identify problem areas of the body. Using gentle stretching and mobilising techniques as well as manipulating joints, an osteopath works with the body to create the perfect conditions to facilitate the healing process. Treatment usually consists of a combination of soft-tissue releasing techniques, and some specific adjustments affecting joints and soft-tissues (muscles, tendons and ligaments). Advice can also be given on self-help treatments. The Osteopath will use their highly developed sense of touch called palpation to assess areas of weakness, tenderness, restriction or strain within your body. They will make a diagnosis and discuss it with you and if osteopathic treatment is suitable it will be offered to you. Treatment will be aimed at helping to restore normal joint stability and function. Osteopaths usually start any treatment by releasing and relaxing muscles and stretching stiff joints, using gentle massage techniques, rhythmic joint movements and muscle release techniques. The Osteopath may also carry out manipulation using short, quick movements to spinal joints. Other techniques may also be used, depending on your problem. More details are available from the Osteopathic Association here. I am an Osteopath and Clinic Director at Glencairn House. Born locally I have two sons and am active in the local community. Apart from the Clinic I have a small farm breeding Dorset Down sheep. After school in Somerset I attended the British School of Osteopathy in London for four enjoyable years graduating in 1982. From there I returned to the West Country starting a clinic from my home (more by popular demand than design) whilst working in a very busy Clinic in Bath. The eight years spent at Monmouth Street were an invaluable ‘apprenticeship’, working long hours and seeing many differing patients. I developed an interest in sports medicine, looking after the Speedwell volleyball team in Bristol where I was the official sports therapist travelling on their international tours, and on occasion giving treatment to the largely amateur Bath rugby team, the famous Bath and England back row, soon to become professional. During this time from 1984-89 I served as Secretary and then Chairman of The Western Counties Society of Osteopaths and remain an active member. I am the regional osteopathic education officer for this region interviewing and advising prospective students. I was instrumental in joining together Glencairn Physiotherapy and Chiropody with the Complimentary Clinic to form the present Glencairn House Clinic. Although using many different techniques over the years, I remain a traditional osteopath. I am particularly interested in understanding sports injuries but equally those from dance and other forms of physical expression. I enjoy helping with postural development of young adults, and in recent years positional release techniques (strain and counterstrain). By chance discussion I was fortunate to meet Doug Longdon, probably the UK – if not world leading – expert in these techniques and, after some tutoring by him, now incorporate the-e gentle techniques, into daily practice. Despite advancing years, I am still interested in playing sport of all kinds and still play cricket for the local village, occasionally mixed hockey, golf and particularly enjoy skiing when possible. In 2005 I ran the London Marathon for the UK Brain Tumour Society. I also particularly enjoy theatre and cinema, and supporting local musicians and artists. After school I went to Bristol University where I studied for a BSc in Cellular Pathology – a course devoted to the study of the disease process. I graduated in 1982 and from there went to work as a lab technician at the Cardiothoracic Institute, London. Although I completed a PhD thesis five years later, I was increasingly dissatisfied with a life in research and decided I wanted a more practical career. So I enrolled at the British School of Osteopathy in 1986. During my four years at college I was involved in both the children’s and expectant mothers’ clinics. 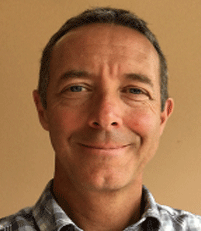 ‘After gaining my diploma in Osteopathy in 1990, I started to work for Alex Gibbs at Toomer Cottage, moving to the current premises in Sherborne with him in early 1991. Since that time I have been part of the steady expansion of Glencairn House and I am now one of the more senior practitioners. During post graduate study I have completed two extended residential courses in Osteopathy in the cranial field and I find myself using this technique more and more. I have also completed an intensive worshop on treating the face. In addition, I use a number of other subtle techniques including Functional Release and Muscle Energy Techniques, as well as HVT. My passion for an osteopathic approach to the treatment of children has never left me. During 2015 and 2016 I took the opportunity to study the Diploma in Paediatric Osteopathy run by the SCCO (Sutherland Cranial College of Osteopathy). This gave me access to the most up to date information in this expanding field. Osteopathic care during pregnancy is an obvious adjunct to my interest in osteopathic care of babies, infants and children. I have completed two modules run by the Active Birth Centre in London and I integrate their principles of Yoga during Pregnancy into my work to help alleviate symptoms and discomforts and to prepare for optimal fetal positioning. I continue to attend workshops on the Osteopathic treatment of expectant mothers. In November 2004 I became secretary of the Western Counties Society of Osteopaths – a professional organisation with a membership of over 350. I served for 4 years, becoming Chairman in 2006. In November 2008 I stepped down as Chairman in order to pursue my own personal development. I live in Tollpuddle with my husband, Richard, and we have two daughters – each pursuing their own careers. I have a very varied collection oaf interests and find fulfilment in creative projects, gardening, water sports and walking. In March 2017 I had the privilege of going to Thailand as part of a group of six osteopaths invited to give osteopathic treatment to elephants at The Golden Triangle Asian Elephant Foundation Reserve near Chiang Rei – a truly remarkable experience. I am an Osteopath working privately from home near Dorchester and also at Glencairn House. 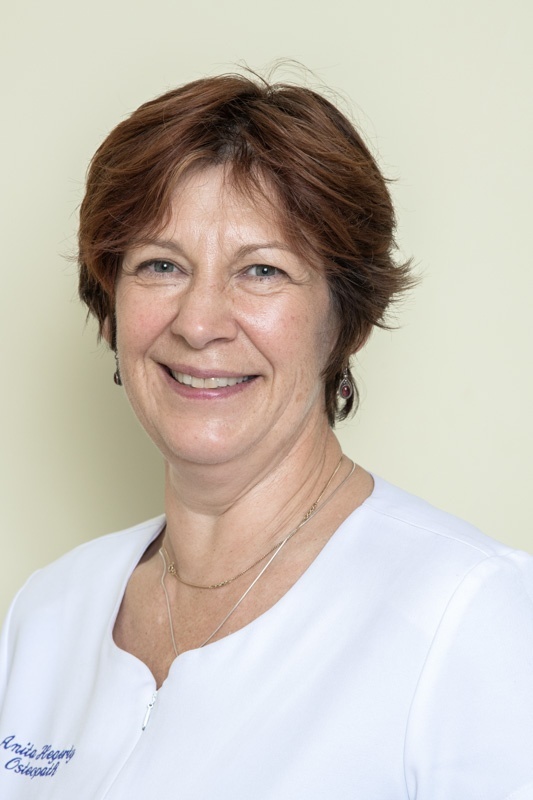 I have worked in Dorset since graduating from the European School of Osteopathy in 1991, from my own clinic and also for twenty years on the NHS at two busy primary care centres. I practise a gentle classical osteopathic approach to treatment in which I hope to demonstrate my care and respect for patients. Many of my family members work in healthcare professions, including nursing, podiatry, orthopaedics, general practice, occupational therapy, surgery and oncology. My daughter is currently completing her specialty training in hospitals in Cornwall. I live on a large arable farm in the beautiful chalk downland of South Dorset, where I enjoy the good outdoor life with my young family. We keep a number of farm animals as pets, including horses, chickens, goats, sheep, geese and pigs, and there is always plenty to do! I love spending time with my wonderful children, pootling around in the garden and working in the woodlands. I enjoy an occasional round of golf or a fishing trip with friends, and I’m also very keen on writing. 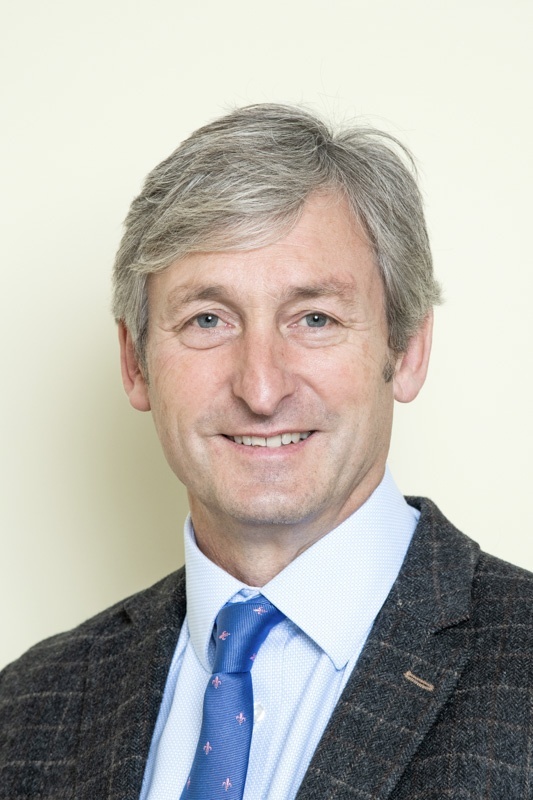 Michael holds a Master of Osteopathy (MOst) degree with Distinction from Oxford Brookes University and has practised in a range of medical settings. He has worked hard to forge connections with a range of medical disciplines, including physiotherapy, chiropractic, acupuncture and massage therapy. These connections have allowed Michael to develop a diverse range of knowledge, skills and approaches, which means he is able to help a wide range of different people. Michael uses a combination of massage, joint mobilisation and joint manipulation, as well as highly subtle and gentle manual techniques. 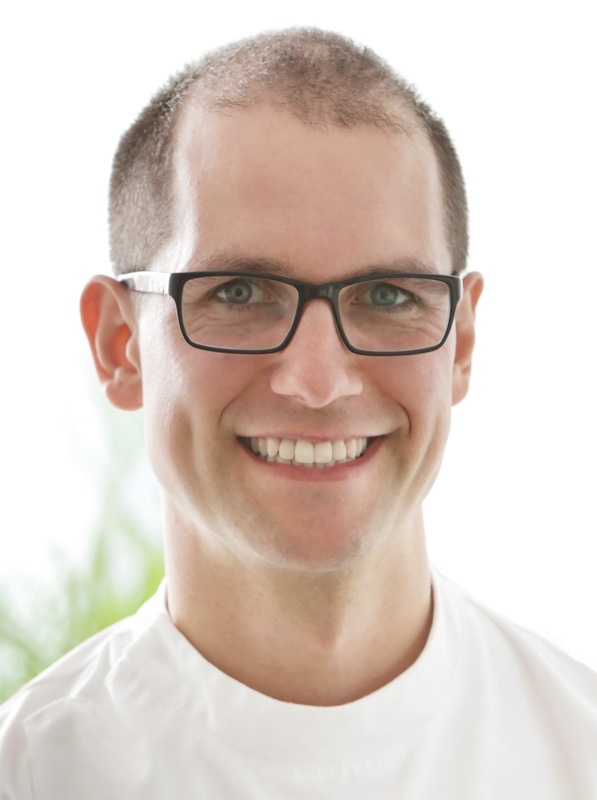 Michael is also a qualified acupuncturist, so many of his patients benefit from a combined approach. As appropriate, Michael is also able to draw on his knowledge of exercise science and rehabilitation, which allows him to guide patients through progressive exercise rehabilitation programmes – an approach commonly associated with physiotherapy. Michael strives to enable and motivate patients to make appropriate, simple changes to their daily routine, with a view to improving their symptoms and wellbeing. Osteopathy provides an opportunity to meet interesting people, whilst making a real difference to peoples’ lives – something that gives Michael a great deal of satisfaction. Quality care from a range of seasoned experts.